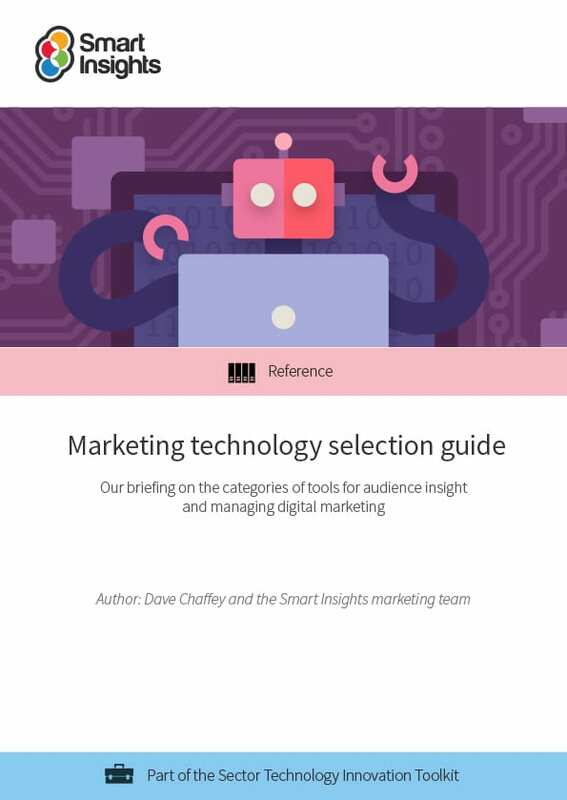 As marketers today, we’re fortunate to have a huge number of options for marketing technology services to give us insight about our customers, competitors, and market. These online services also help us compete by enabling our businesses to communicate with our audiences with automated, relevant real-time communications integrated across desktop and mobile and digital plus traditional marketing channels! However, there are so many tools in different categories it can be difficult to know which are available and which offer the best features. So, where do you start when deciding on the best types of services to use? There’s a challenge with the sheer number of tools which vary enormously in cost and quality and new challenger tools can sometimes do a better job than the established tools. Larger businesses and brands will require ‘enterprise’ services with a full-feature set which can be used across teams and smaller businesses will be looking for simpler, lower-cost or free services. This guide has been made for marketers of all levels, from managers and major stakeholders who need to find big-picture solutions and improve internal processes to marketing executives who will be using the tools on a daily basis. This guide gives you five top tools to use across 30 different categories. These categories have been sorted into the four segments of our RACE framework, so you can choose the best tech no matter where you are in your digital marketing plans. This guide is reviewed and updated on an annual basis. Its most recent update was October 2018 and includes both new tools and revised ranking across many categories. 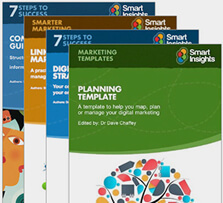 The Smart Insights Marketing team have produced this guide. Thanks to Dave Chaffey, Pat Kelly, Robert Jones, Robert Allen, Kim Greenop-Gadsby, Jessica Wade, and James Story.